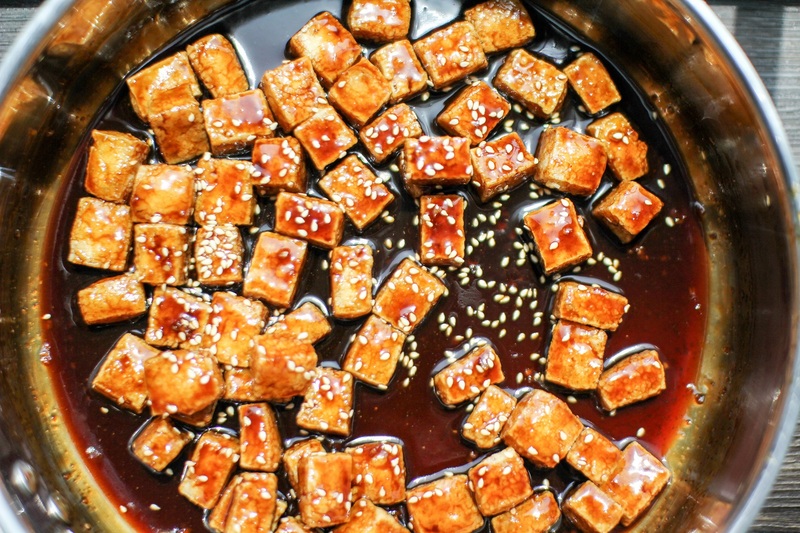 Crispy Sesame Tofu! Wait don’t leave! You might have the same thoughts about tofu as I do. Let me explain my Tofu thought process. Tofu… No. Crispy tofu, mmmmaybe. 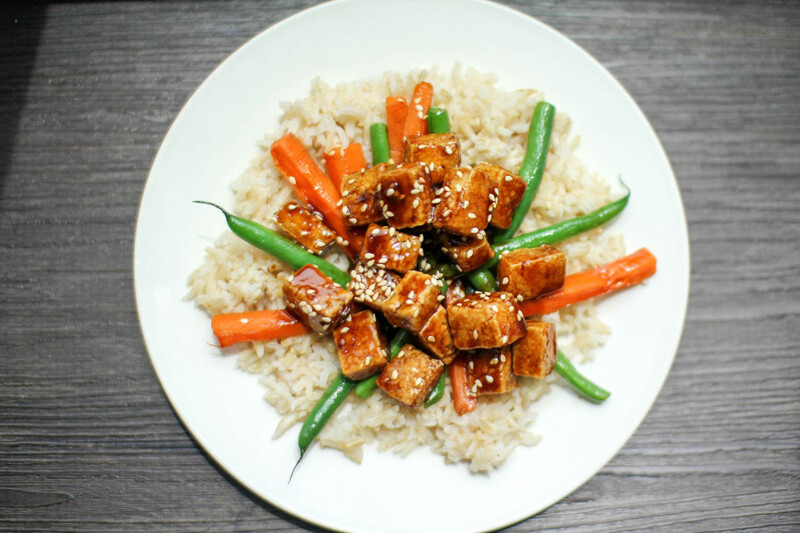 Crispy Tofu with a sesame glaze? Yep!!! I mean, this tofu is so good I forgot I was eating tofu. It was nothing like the tofus I have made or had in the past. 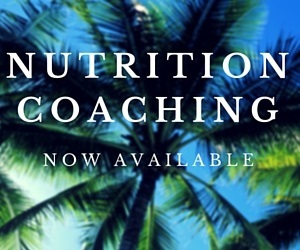 You have to at least try it even if you are a meat eater. , as did the chicken version. Tofu is so great! 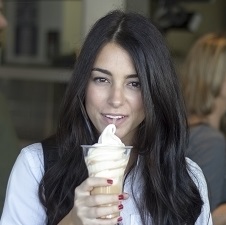 It’s a whole protein, has no animal fat, is low cal, and a good source of calcium believe it or not. Now if you want this tofu to turn out right, and by right I mean crispy, you’ve got to do a little prep. You have to drain the tofu well. Like really well. You can do this a few ways, usually people will just set something heavy on top with towels for a few hours to press out the liquid. I tried that and I’m just too impatient. I eventually just cut it into slices and pressed the liquid out of each slice. So much quicker! and look, look how crispy! Now this recipe does take a while, but only because you have to wait for the liquid to drain (or you can be like me and force it out), and it bakes for 45 minutes. So find something fun to do in between. Then once it is almost done you can prep the rest of your ingredients, it comes together quickly at the end. Take Tofu out of package and drain water. You can use a press method by wrapping it in a kitchen towel or paper towels and leave something heavy on top. OR cut it into thinner slices and press the liquid out of each slice individually. Drain it the best you can. Cut tofu into 0.25-0.5 inch thick pieces according to your preference. Lightly coat the tofu with cornstarch, garlic powder, and ginger; this is what is going to make it crispy. I find if you press the tofu into the corn starch it will almost absorb it. 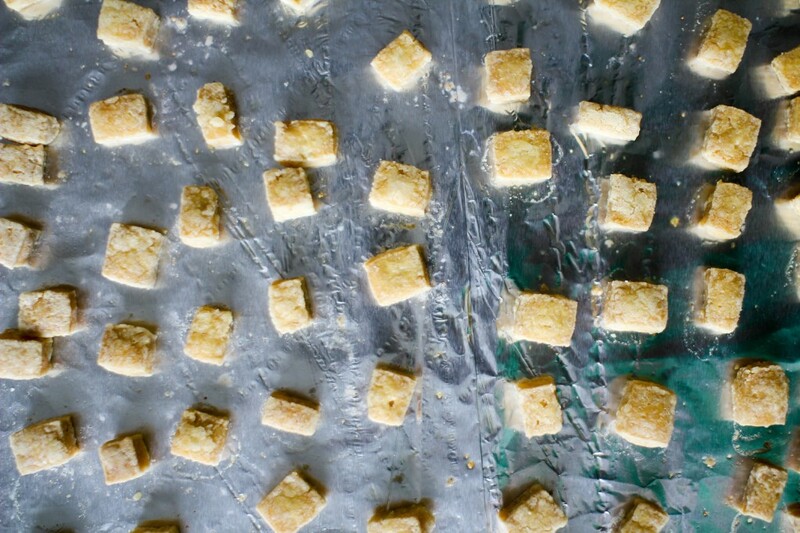 Lay coated tofu out on a sprayed and lined baking pan. Lightly spray tops with cooking spray. Bake for a total for 45 minutes, flip tofu half way through baking. Put your brown rice on to cook. At the half way point start to prep your veg and sauce. Cut carrots in half lengthwise then into small spheres, cut ends of green beans. Steam carrots and green beans. I use a microwave steam basket for this but you can put them in a pan with a little water and lid then drain the water when done. To make the sauce add soy sauce, hoisin sauce, sesame oil, brown sugar, ginger, and garlic to a pan. Mix to combine and heat over LOW heat. Add tsp of corn starch to enough cold water to dissolve. Once dissolved stir into sauce heat another minute. Spoon 3-4 TBS of sauce over the vegetables to coat. Add the crispy tofu to the sauce and cover with toasted sesame seeds. I’m totally with you on tofu, it’s weird unless you cook it right. This looks sooo tasty! Def gonna try that sauce! 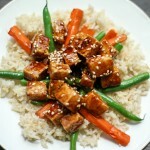 Hi – I tried this out tonight and thought the tofu turned out very tasty – I have not baked tofu before, only pan-fried. Thought the sauce was closer to a Szechuan than a sesame sauce, but I also did not have hoisin in my pantry. Thanks for recipe- will make again! 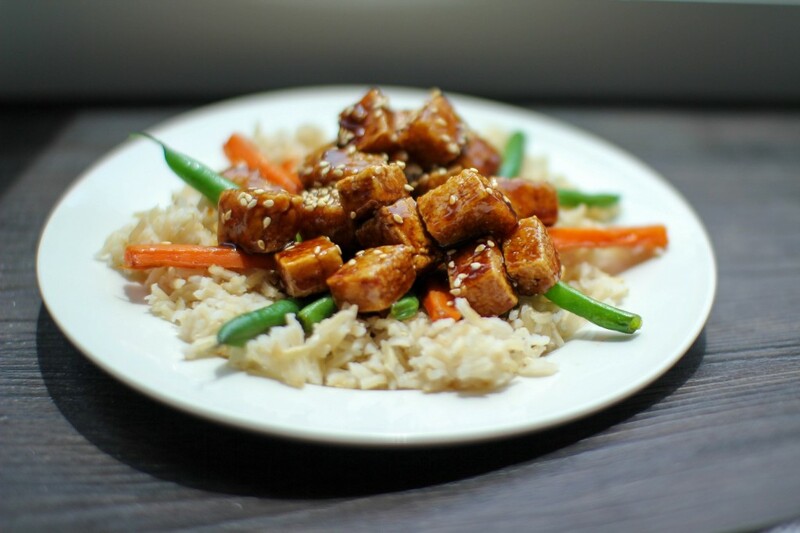 I may tinker with the sauce a bit – trying to get it to taste like my favorite take-out version of this dish…which probably uses less healthy ingredients and deep-fries the tofu! Thanks again!